Liven up your playful attitude and complement your easy-going attitude in this trail-to-town KAVU River Wrangler Shirt. Casual-fit, button-up shirt in a slightly looser silhouette. Synthetic poplin weave: &amp#8226 Lightweight, poly poplin provides easy, warm-weather wear. &amp#8226 Moisture-wicking performance moves perspiration away from the skin to quickly distribute across the fabric surface. &amp#8226 Stretch blend improves range of motion. &amp#8226 UPF 30 fabrication protects your skin during outdoor activity by blocking harmful Ultraviolet A and Ultraviolet B rays (UVA and UVB). &amp#8226 3.0 oz/yd&amp#178 fabric weight. Brightly hued, allover print varies with each color. Button-down collar. Short sleeves. Button-through chest pocket. Straight back yoke. Shirttail hemline. 93 percent polyester, 7 percent spandex. Machine wash, tumble dry. Imported. Measurements: Length: 31 in Chest Measurement: 19 in Sleeve Length: 20 in Product measurements were taken using size MD. Please note that measurements may vary by size. 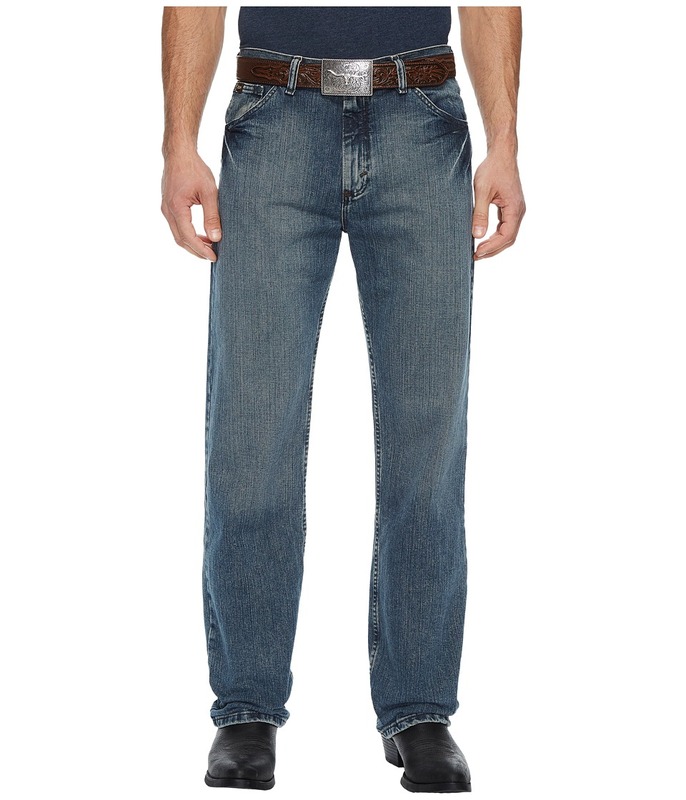 Slip into something that~ll help you get some giddy-up in your step with these attractive Wrangler Jeans. Skinny jeans is slim through the hip and thigh with a tapered leg. Stretchy, medium washed denim sports contrast stitching and catscratch details lending a destroyed look. Belt loop waist. Zip closure with button fly. Five-pocket construction. Logo patch at back waist. 68 percent cotton, 14 percent Tencel, 12 percent polyester, 6 percent Lycra. Machine wash, tumble dry. Imported. Measurements: Waist Measurement: 27 in Outseam: 40 in Inseam: 31 in Front Rise: 8 in Back Rise: 14 in Leg Opening: 9 in Product measurements were taken using size 27, inseam R. Please note that measurements may vary by size. Play up your casual cool with a modern twist in this daring Wrangler top. 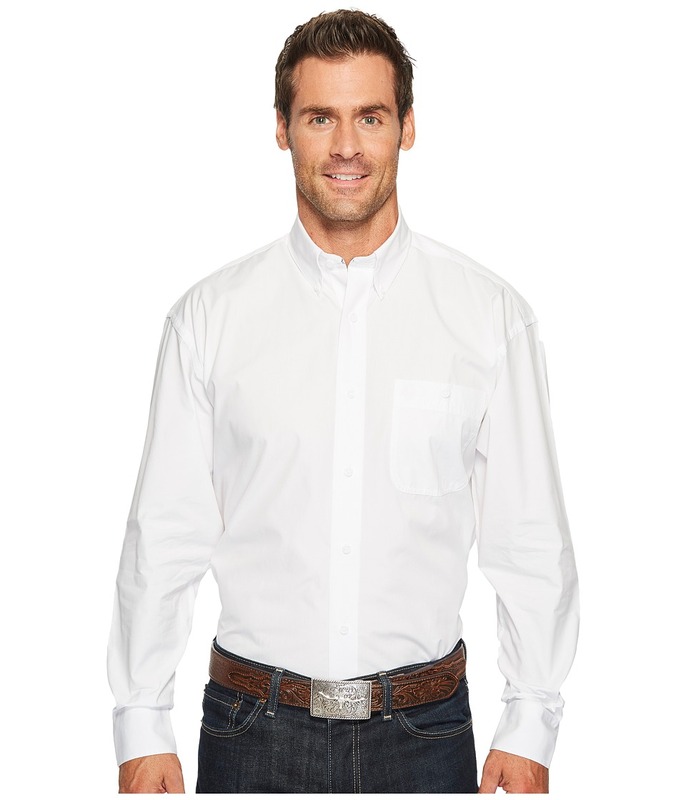 Tailored western shirt contours the body with a standard fit. Medium wash denim boasts a lived-in look with hand sanding and contrast stitching. Foldover collar. Snap-button front. Long sleeve sports three-button cuffs. Western yokes. Snap-flap chest pockets feature signature W embroidery. Shirttail hem. 100 percent cotton. Machine wash, tumble dry. Imported. Measurements: Length: 28 in Product measurements were taken using size SM. Please note that measurements may vary by size. 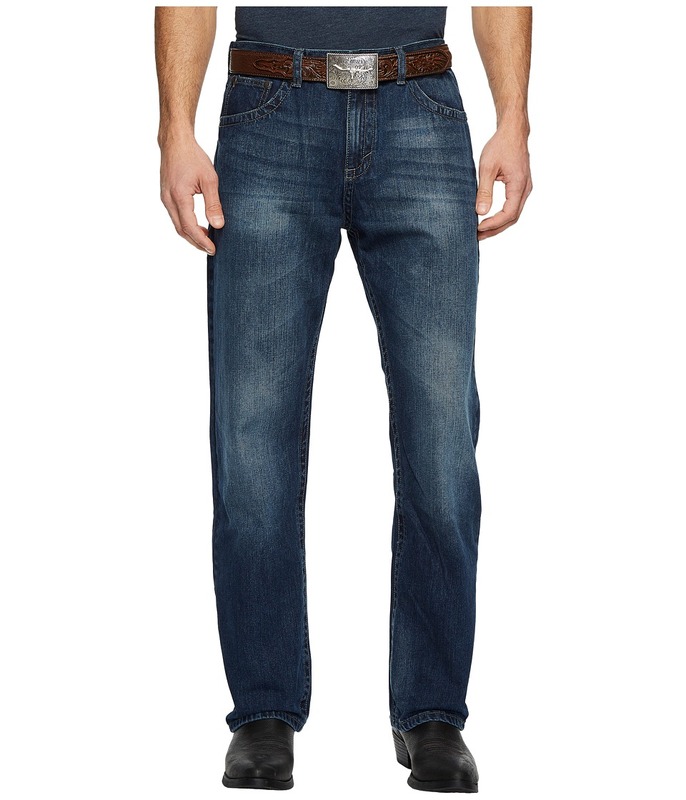 Wrangle up the boys and head over to the tavern in these good-looking Wrangler Jeans. Relaxed fit pant is eased through the thigh with a kick out at the calf. Medium-washed tinted denim boasts an already lived-in look with heavy hand sanding, whiskers, and tacking along thighs and rear seat. Belt loop waistband. Zip fly and button closure. Classic five-pocket construction. Signature W stitching along rear pockets. Brand patch at right rear pocket. 99 percent cotton, 1 percent spandex. Machine wash, tumble dry. Imported. Measurements: Waist Measurement: 32 in Outseam: 42 in Inseam: 32 in Front Rise: 11 in Back Rise: 16 in Leg Opening: 16 in Product measurements were taken using size 32, inseam 32. Please note that measurements may vary by size. 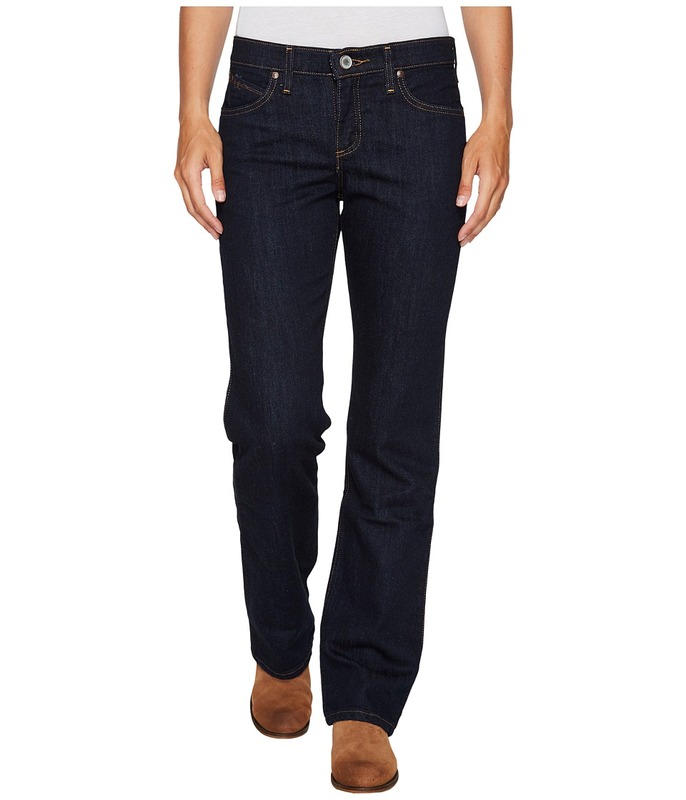 Ride high through any turbulence with the sturdy Wrangler Retro Sadie Skinny Low Rise jeans. Skinny fit, low-rise pant is eased through the thigh with a skinny leg. Dark wash denim crafted with a bit of stretch and whiskers along thighs. Belt loop waistband. Zip fly and button closure. Classic five-pocket construction. Brand patch at right rear waist. 94 percent cotton, 5 percent elastane, 1 percent polyester. Machine wash, tumble dry. Imported. Measurements: Waist Measurement: 29 in Outseam: 38 1 2 in Inseam: 30 in Front Rise: 9 in Back Rise: 12 1 2 in Leg Opening: 10 in Product measurements were taken using size 3, inseam 31. Please note that measurements may vary by size. 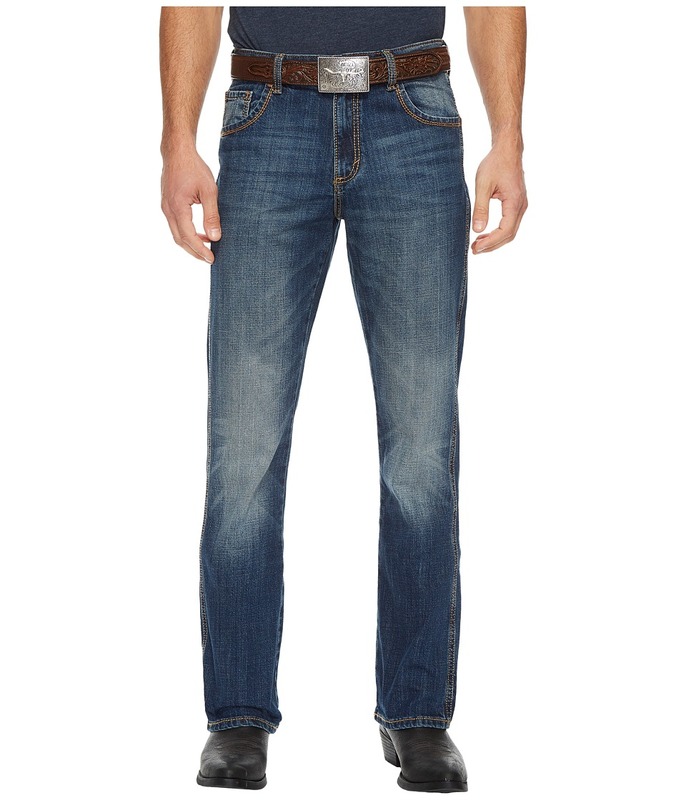 Step into the stables and make a statement in these attractive Wrangler jeans. Low-rise pant sits below the waist and sports a straight leg with a baby boot cut leg. Light wash denim adorns heavy hand sanding and thick stitch seams for a vintage-inspired look. Fixed belt lop waistband. Zipper fly and button closure. Five-pocket design. Signature embroidery with multi-stitch details along rear pockets. 64 percent cotton, 19 percent rayon, 16 percent polyester, 1 percent spandex. Machine wash, line dry. Imported. Measurements: Waist Measurement: 26 in Outseam: 42 1 2 in Inseam: 33 1 2 in Front Rise: 8 1 2 in Back Rise: 12 in Leg Opening: 17 in Product measurements were taken using size 1, inseam 32. Please note that measurements may vary by size. 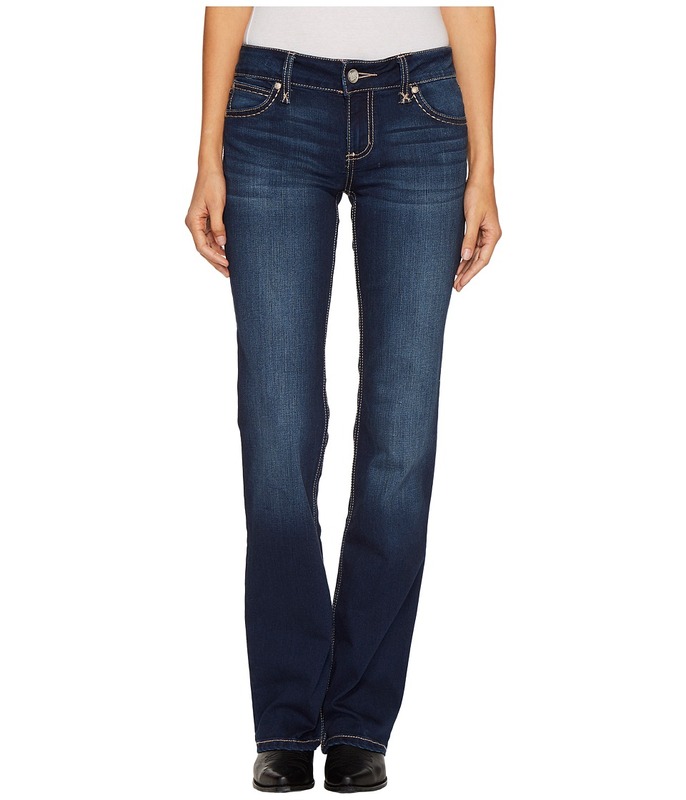 Play up your casual Fridays with heels or boots and slip into these gorgeous Wrangler jeans. 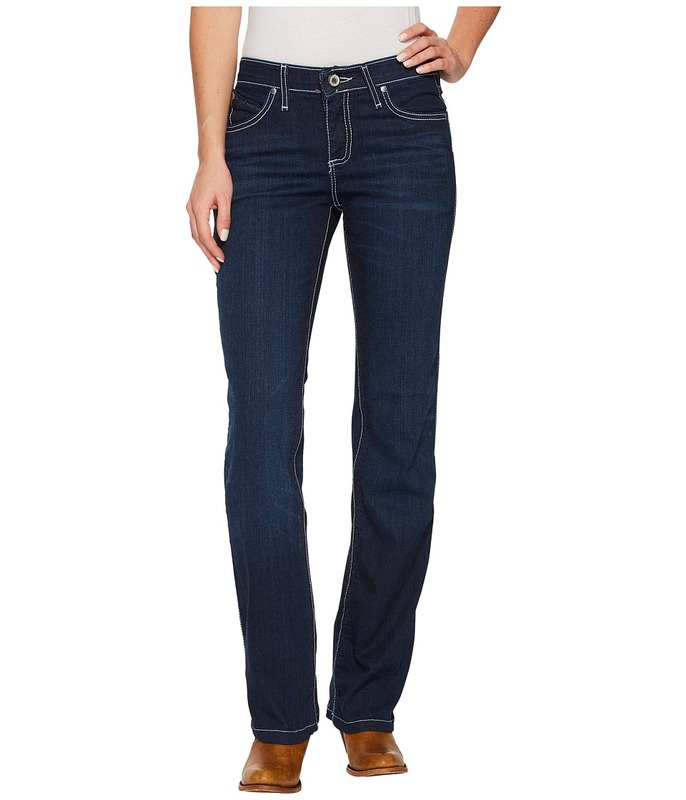 Mid-rise jean is fitted through the thigh and kicks out at the calf into a wide bootcut. Dark-wash denim lends a polished look with light hand sanding and detailed Khaki seams. Belt loop waistband. Zip fly and button closure. Classic five-pocket construction. Signature W-stitching along rear patch pockets. 98 percent cotton, 2 percent spandex. Machine wash, tumble dry. Imported. Measurements: Waist Measurement: 28 in Outseam: 42 in Inseam: 32 in Front Rise: 8 in Back Rise: 13 in Leg Opening: 16 in Product measurements were taken using size 3, inseam 34. Please note that measurements may vary by size. Step up your sass level by showing off your curves in these flattering Wrangler jeans. The ultimate riding jean that features Cool Vantage technology with sweat control and wicks away sweat five-times faster ensuring superior comfort. 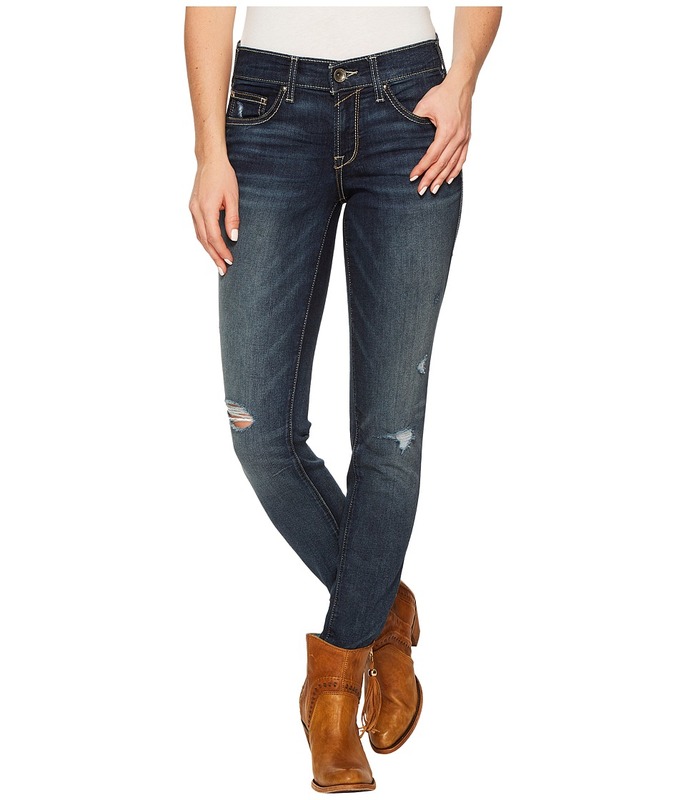 Mid-rise jean is fitted through the thigh with a bootcut leg that kicks out at the calf. Medium wash denim crafted with a tad of stretch without restricting mobility boasts a polished look with light hand sanding details. Stretchy belt loop waistband. Zip fly and button closure. Classic five-pocket construction. Signature brand stitching along rear pockets. 75 percent cotton, 25 percent polyester. Machine wash, tumble dry. Imported. Measurements: Waist Measurement: 28 in Outseam: 40 in Inseam: 32 in Front Rise: 8 in Back Rise: 13 in Leg Opening: 16 in Product measurements were taken using size 3, inseam 32. Please note that measurements may vary by size. 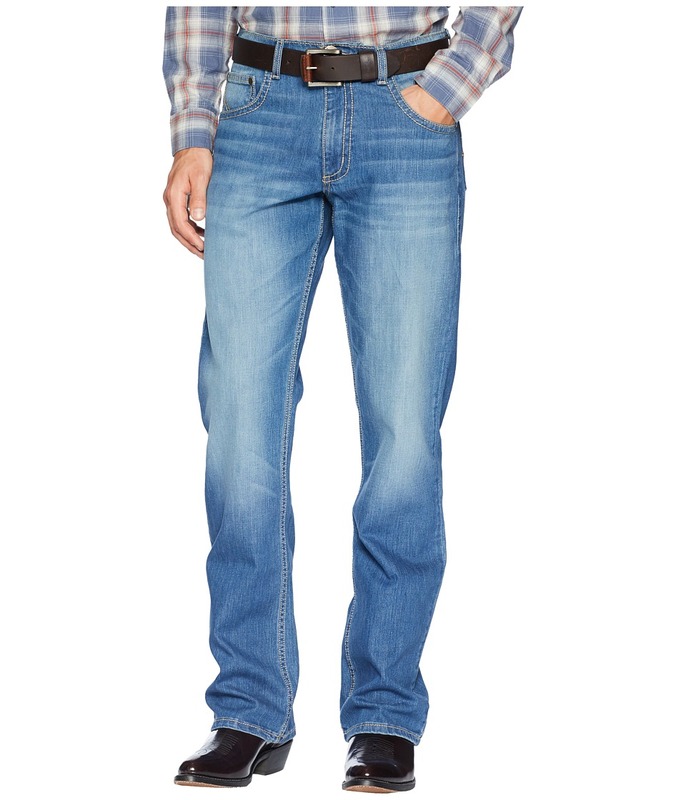 Hop on the saddle and show off your riding skills in these attractive Wrangler jeans. The ultimate riding jean that features Cool Vantage technology with sweat control and wicks away sweat five-times faster ensuring superior comfort. Mid-rise jean sports a straight fit through the thigh and leg. Stretchy belt loop waistband. Zip fly and button closure. Classic five-pocket construction. Signature multi-stitch design adorns heat-set gold sequins. 86 percent cotton, 13 percent polyester, 1 percent spandex. Machine wash, tumble dry. Imported. Measurements: Waist Measurement: 28 in Outseam: 40 in Inseam: 31 in Front Rise: 9 in Back Rise: 14 in Leg Opening: 15 in Product measurements were taken using size 3, inseam 32. Please note that measurements may vary by size. 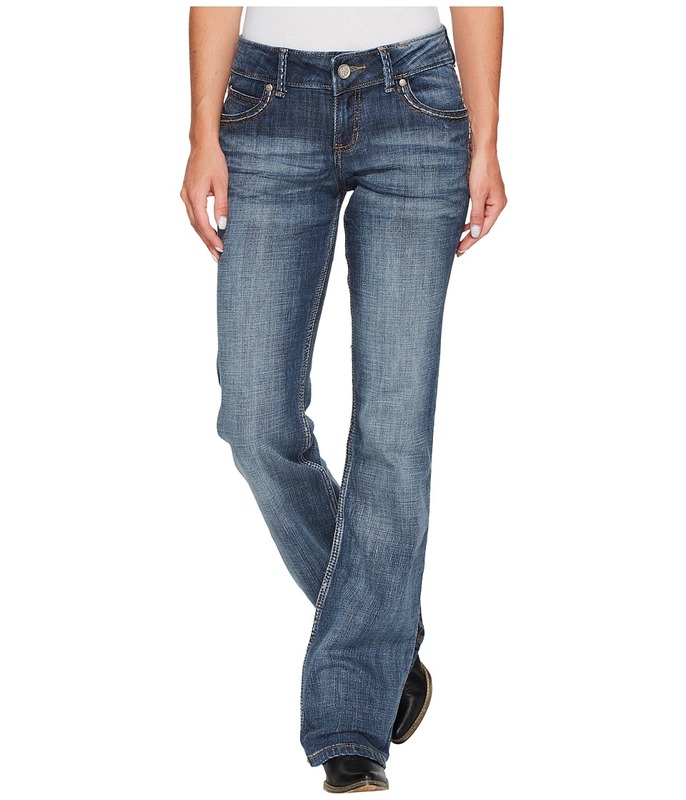 Shake things up and keep your cowgirl cool in these darling Wrangler jeans. Mid-rise pant sports a straight fit through the thigh and leg. Stretch denim in a medium-wash lends a polished look with shiny silver threading. Belt loop waistband. Zip fly and button closure. Five-pocket construction. Custom brand W-stitching with unique squiggle detail. 92 percent cotton, 8 percent spandex. Machine wash, tumble dry. Imported. Measurements: Waist Measurement: 26 in Outseam: 40 in Inseam: 32 in Front Rise: 8 in Back Rise: 14 in Leg Opening: 16 in Product measurements were taken using size 1, inseam 32. Please note that measurements may vary by size. 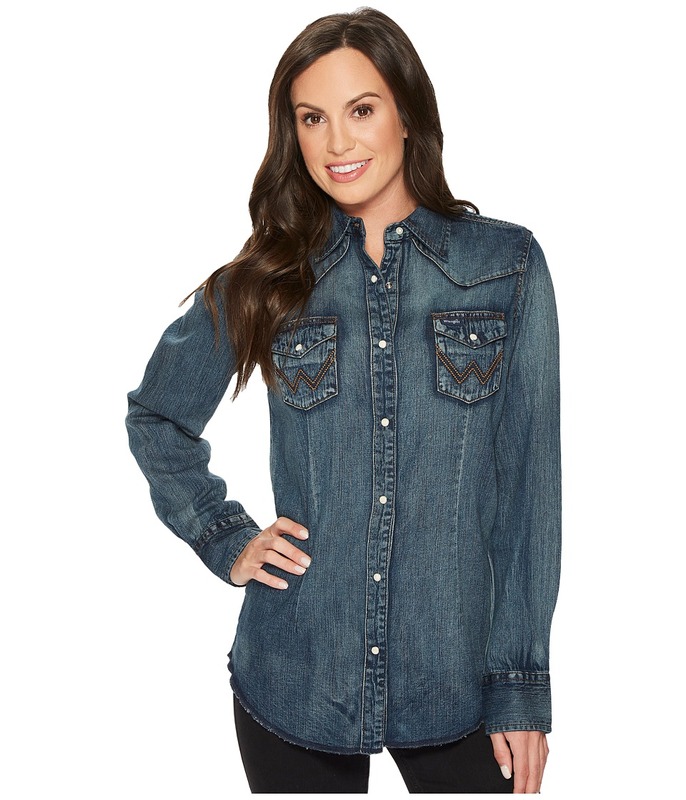 Strut your stuff in this classic Wrangler western shirt. Part of the George Strait Collection. Regular fit is a modern cut that is shaped to skim the body and allows full range of motion. Airy cotton-poly solid poplin lends superior breathability and all-day comfort. Spread collar with button-down points. Snap-button front closure. Straight back yoke with center box pleat. Long sleeves sports adjustable two-button cuffs. Button-through patch chest pocket with brand marking. Shirttail hemline. 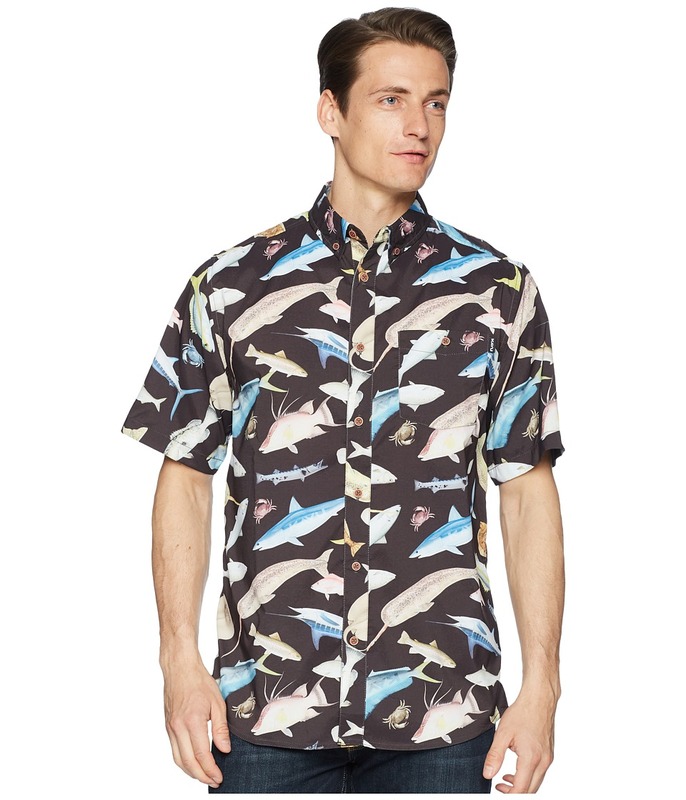 85 percent cotton, 15 percent polyester. Machine wash, tumble dry. Imported. Measurements: Length: 33 in Chest Measurement: 44 in Product measurements were taken using size MD. Please note that measurements may vary by size. Take it easy on the ranch and cruise through your afternoon in pure comfort in these vintage Wrangler jeans. Durable cotton denim boasts a slim fit from the hip through the leg. 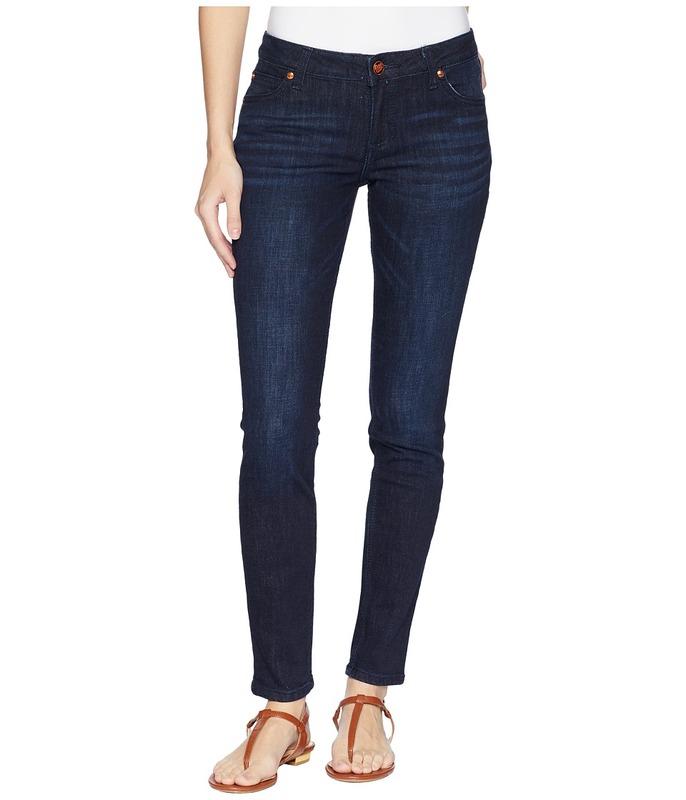 Mid-rise jean is fitted through the thigh with a bootcut leg that kicks out at the calf. Medium wash tinted denim boasts a modern look with hand sanding, tacking, and brown stitch details. Belt loop waistband. Zip fly and button closure. Classic five-pocket construction. V-stitching across the rear patch pockets. Brand patch at right rear waist. 100 percent cotton. Machine wash, tumble dry. Imported. Measurements: Waist Measurement: 34 in Outseam: 43 in Inseam: 32 in Front Rise: 11 1 2 in Back Rise: 14 1 2 in Leg Opening: 18 in Product measurements were taken using size 32, inseam 32. Please note that measurements may vary by size. 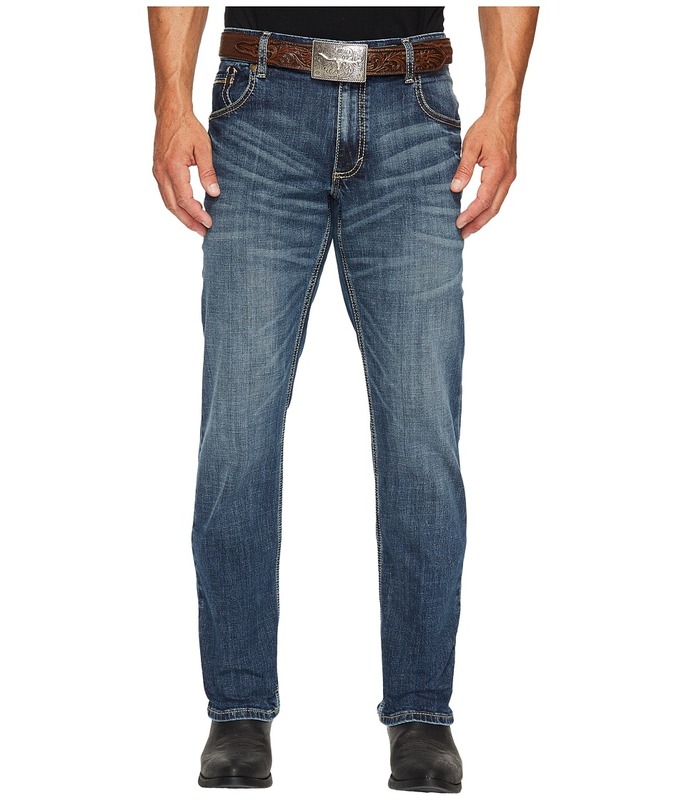 Move with ease and get the confidence you need in these comfort stretch Wrangler jeans. Relaxed fit, mid-rise pant is eased through the thigh with a slight boot cut leg opening. Medium wash denim sports heavy hand sanding and tacking lending a broken-in look. Belt loop waistband. Zip fly and button closure. Classic five-pocket construction. Rear patch pockets feature subtle squiggle stitching. 98 percent cotton, 2 percent spandex. Machine wash, tumble dry. Imported. Measurements: Waist Measurement: 32 in Outseam: 42 in Inseam: 32 in Front Rise: 10 in Back Rise: 15 in Leg Opening: 18 in Product measurements were taken using size 32, inseam 32. Please note that measurements may vary by size. 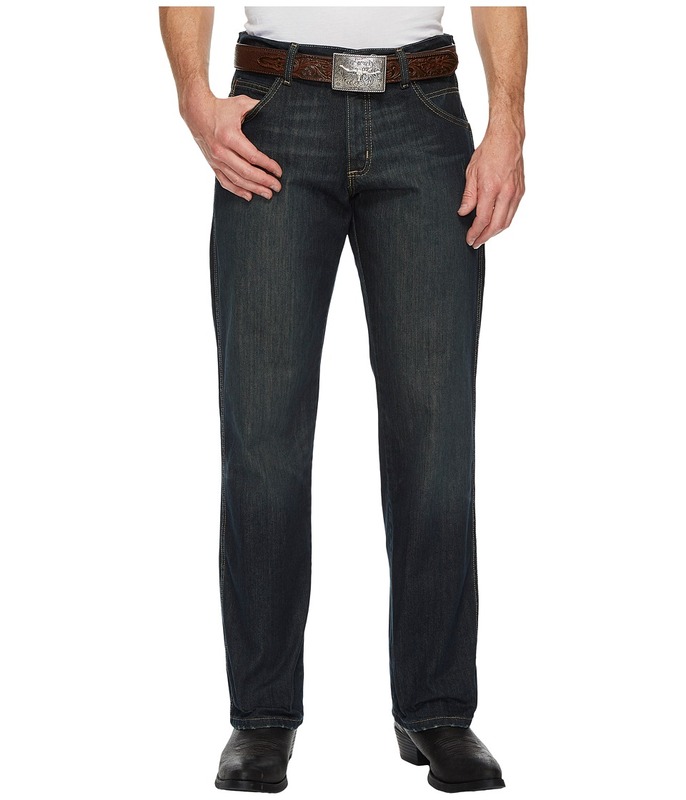 Get the real comfort you need from the saddle to the barn in these Premium Performance Cowboy Cut Jeans. Relaxed fit pant is eased through the thigh with a straight leg. Dependable medium-wash denim is built-to-last with premium cotton. Belt loop waistband. Zip fly and button closure. Regular seat and thigh lends superior comfort for all-day comfort. Five-pocket construction. Classic W stitching along rear patch pockets. Brand patch at right rear pocket. 100 percent cotton. Machine wash, tumble dry. Imported. Measurements: Waist Measurement: 32 in Outseam: 43 in Inseam: 32 in Front Rise: 11 in Back Rise: 16 in Leg Opening: 16 in Product measurements were taken using size 32, inseam 32. Please note that measurements may vary by size. 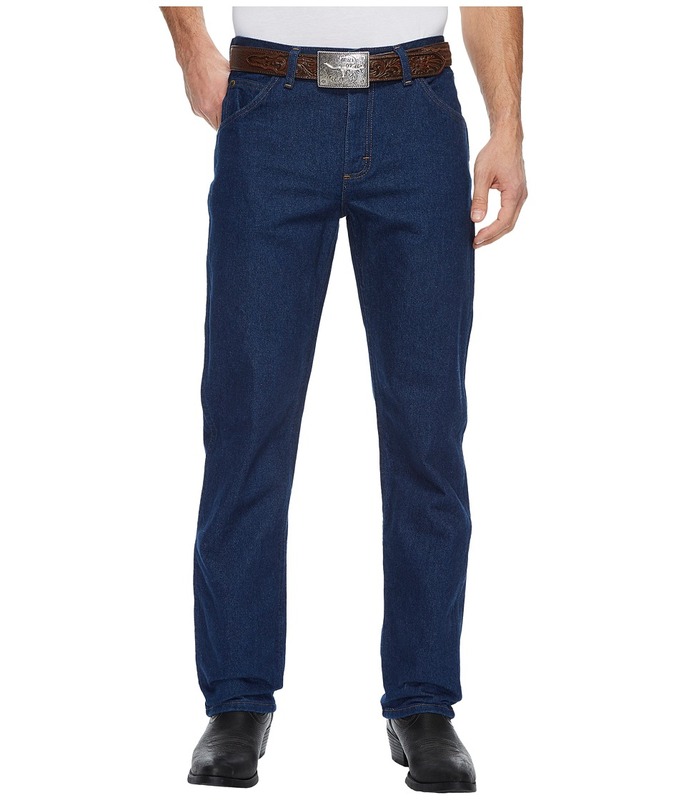 Support your cowboy cool with these durable Wrangler jeans to complete your crisp look. Stretchy, mid-rise jean sports a straight fit through the thigh and leg. Medium wash denim lends a vintage-inspired finish with tacking, whiskers, and heavy hand sanding. Belt loop waistband. Zip fly and button closure. Classic five-pocket construction. Classic W-stitching along rear patch pockets with logo patch. Brand patch at right rear waist. 99 percent cotton, 1 percent elastane. Machine wash, line dry. Imported. Measurements: Waist Measurement: 32 in Outseam: 40 in Inseam: 30 1 2 in Front Rise: 10 1 2 in Back Rise: 14 1 2 in Leg Opening: 16 in Product measurements were taken using size 32, inseam 32. Please note that measurements may vary by size. Let the good times roll when you~re hanging with the fellas at the tavern while rocking these durable Wrangler jeans. Low-rise jean sports a straight fit through the thigh and leg. 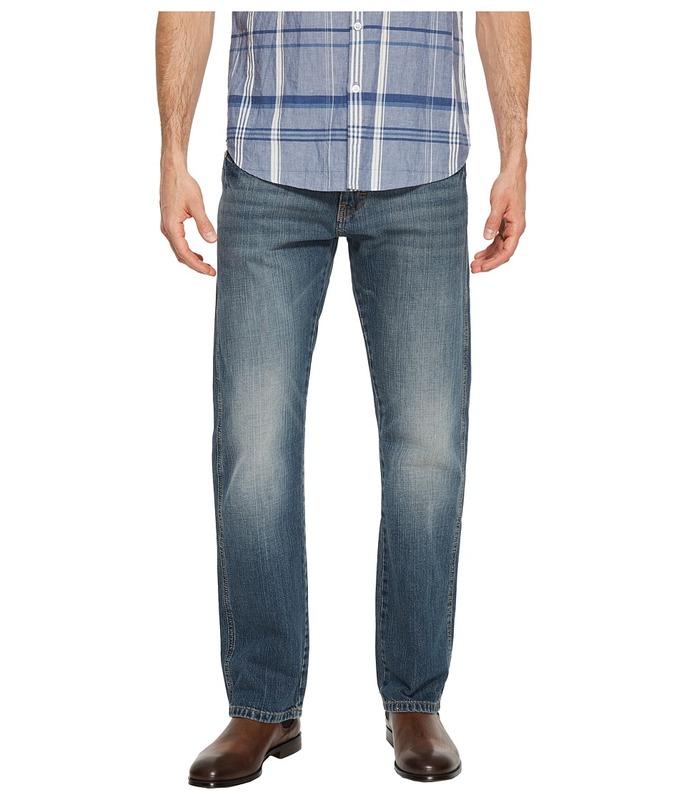 Medium wash, stretch denim sports heavy hand sanding and tacking lending a lived-in look. Belt loop waistband. Zip fly and button closure. Classic five-pocket construction. Contrast stitching sports W along rear patch pockets. Brand patch at right rear pocket. 99 percent cotton, 1 percent elastane. Machine wash, tumble dry. Imported. Measurements: Waist Measurement: 32 in Outseam: 41 in Inseam: 32 in Front Rise: 10 1 2 in Back Rise: 14 in Leg Opening: 17 in Product measurements were taken using size 32, inseam 32. Please note that measurements may vary by size. The perfect way to complement your cowboy cool, these sturdy Retro Relaxed Straight Jeans gives you the confidence you need. Mid-rise jean sports a straight fit through the thigh and leg. Dark wash denim lends a crisp look with light hand sanding and khaki stitching. Belt loop waistband. Zip fly and button closure. Classic five-pocket construction. Signature W-stitching along rear patch pockets. Brand patch at right back pocket. 100 percent cotton. Machine wash, tumble dry. Imported. Measurements: Waist Measurement: 32 in Outseam: 42 in Inseam: 32 in Front Rise: 11 in Back Rise: 15 in Leg Opening: 17 in Product measurements were taken using size 32, inseam 32. Please note that measurements may vary by size. Start your day with a classic look that~s sure to work as hard as you throughout the day in the Extreme Relaxed Fit Wrangler Jeans. Relaxed fit pant is eased through the thigh with a straight leg. Extra room in the seat, thigh, and knee allows ease of movement. Tinted medium washed denim boasts a lived-in look with hand sanding and tacking details. Belt loop waistband. Zip fly and button closure. Classic five-pocket construction. Contrasting multi-stitch design along rear patch pockets. Brand patch at right rear waist. 100 percent cotton. Machine wash, tumble dry. Imported. Measurements: Waist Measurement: 33 in Outseam: 43 in Inseam: 31 1 2 in Front Rise: 11 1 2 in Back Rise: 15 in Leg Opening: 39 in Product measurements were taken using size 32, inseam 32. Please note that measurements may vary by size.